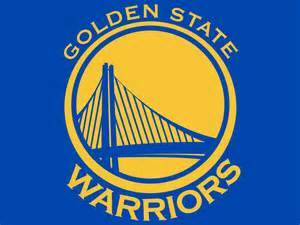 This past Saturday night, the Golden State Warriors won a shootout with the Milwaukee Bucks, 124-121, in a non-overtime game. The Warriors are no strangers to playing in games where a lot of points are scored. They are, and have been, the league’s highest scoring team. But surprisingly, the Warriors don’t always end up on the winning side of these shootout games (more on that a little later). To put some numbers to this, let’s look at NBA games in the past six-plus seasons and see which teams have played in the most games when both teams score over 120 points (in non-overtime contests). Since the 2009-10 NBA season (through November 19 of this season), there has been 61 games where both teams scored 120 or more points in a game that did not go into overtime. Of those 61 games, the Warriors played in 22 (just over 36%). Second on that list are the Denver Nuggets who played in 12 of those games. Here’s a look at how many games teams played in since the 2009-10 season where both teams scored 120 or more points in a non-OT game. The home team was 38-23. Fifty-one of the 61 winning teams shot over 50% from the field in the game; 37 of the 61 teams that lost shot over 50% from the field. Fifty-one of the 61 winning teams shot over 40% from the three-point line in the game; 38 of the 61 teams that lost shot over 40% from the three-point line. Forty-five of the 61 winning teams shot over 75% from the free throw line in the game; 40 of the 61 teams that lost shot over 75% from the free throw line. Of the 61 games, 19 were decided by three points or less; 35 were decided by four to nine points; seven were decided by 10 points or more. This season there has been six games where both teams scored 120 or more points in a non-OT game. As expected, the Warriors have played in the most games with this scenario with three followed by Cleveland and Phoenix with two each. As mentioned above, the Warriors don’t always win these games when both teams score over 120. In fact, of the 22 games the Warriors have played in since that 2009-10 season where they and their opponents scored 120 or more points in a non-OT contest, they have a 12-10 record in those games. Denver, Houston, Minnesota and Phoenix have each lost five games since that season when they scored 120 or more points in a non-OT game.